o anyone who still doesn’t believe that Islam is not only alive and well in U.S. politics, consider that CAIR, the Council on American-Islamic Relations, called on the U.S. Senate this past week to interrogate Brett Kavanaugh, Trump’s pick to fill the Supreme Court vacancy created by retiring Justice Kennedy. That’s right. The biggest organization that is against the civil rights and religious freedom of all people wants the Senate to interrogate Kavanaugh on his views on civil rights, religious freedom and the rights of immigrants. You just can’t make this stuff up. CAIR, the nation’s largest Muslim civil rights and advocacy organization, also called on the nominee to clearly commit to recusing himself from any cases that come before the court involving President Trump personally. Um, that’s not going to happen. CAIR’s National Executive Director Nihad Awad said, “Because of Donald Trump’s openly Islamophobic, white supremacist and racist views and policies targeting minority and immigrant communities, it is incumbent upon the Senate to question Mr. Kavanaugh about his opinions on the protection of civil rights, religious freedom and the rights of immigrants. Awad’s comments would be laughable if they weren’t so dangerous. The feds designated CAIR an unindicted terror co-conspirator in 2007 in the prosecution of the Holy Land Foundation and others for providing support to Hamas jihadists. But according to the New York Post, the Obama’s Justice Department’s senior political appointees declined to press terror-financing charges against CAIR’s co-founder Omar Ahmad over the alleged objections of Dallas area federal prosecutors. Political Islam is taking over many areas of the country. Is this the American system and government we want. A system where women are oppressed and Sharia law, not Constitutional law, is practiced. I think not. Clearly, CAIR is a terrorist group of jihadists wearing suits. A group that wants to bring Sharia law to the United States and actively supports international and domestic terrorists groups. We must remain vigilant citizens against this organization and all that it stands for unless we hope to end up like Britain, which in Michigan, we are well on our way. 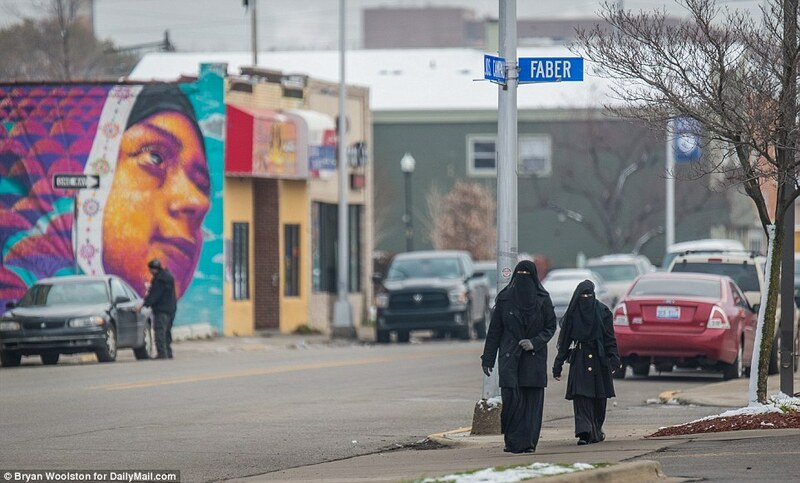 You can read about the debacle of Islam rule in my previous article, Michigan’s Muslim Problem. Sadly, Michigan is already under defacto Islamist rule and set to elect a governor who has direct links to CAIR and Linda Sarsour, prompting the much maligned British journalist Katie Hopkins to fly across the pond to report on its dangers. The question is, is anyone listening? Visit Sharia Crime Stoppers today. Reign Well.